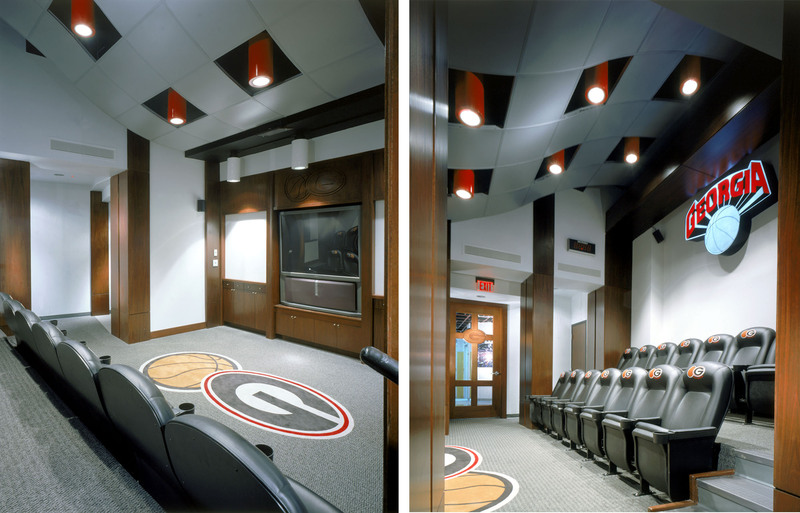 The first phase of the project included the design and construction of the Men’s Basketball team meeting and video rooms, followed by phase 2 Locker rooms and Lounge. All of the spaces are tucked under the rake of Stegeman Coliseum seats. 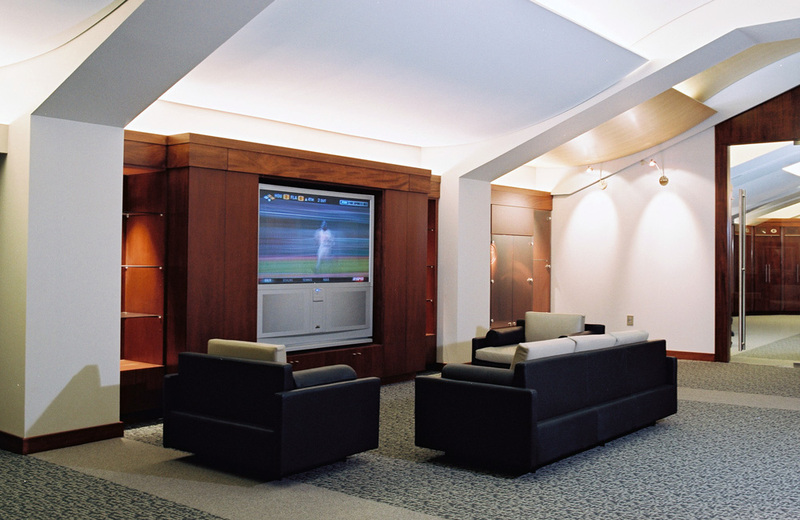 Curved ceiling panels conceal recessed incandescent lighting and HVAC systems. Custom wood paneled lockers identify the players and are mechanically ventilated. The game clock is strategically located to identify half time.